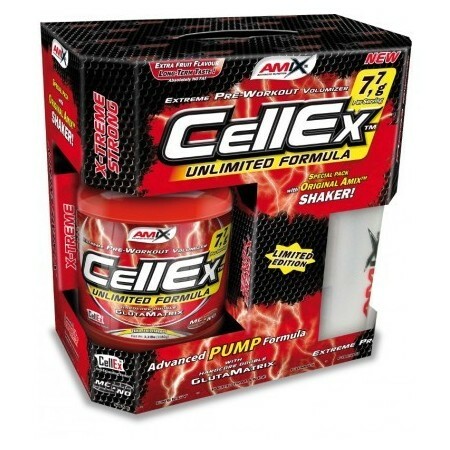 Cellex 1kg Unlimited Amix is ​​the best combination to take before the daily training. Warranty energy dose required that athletes should have thus providing more strength. With what may intensify training and obtaining maximum performance day after day after they start taking this volumizing product sales Nutricion24. 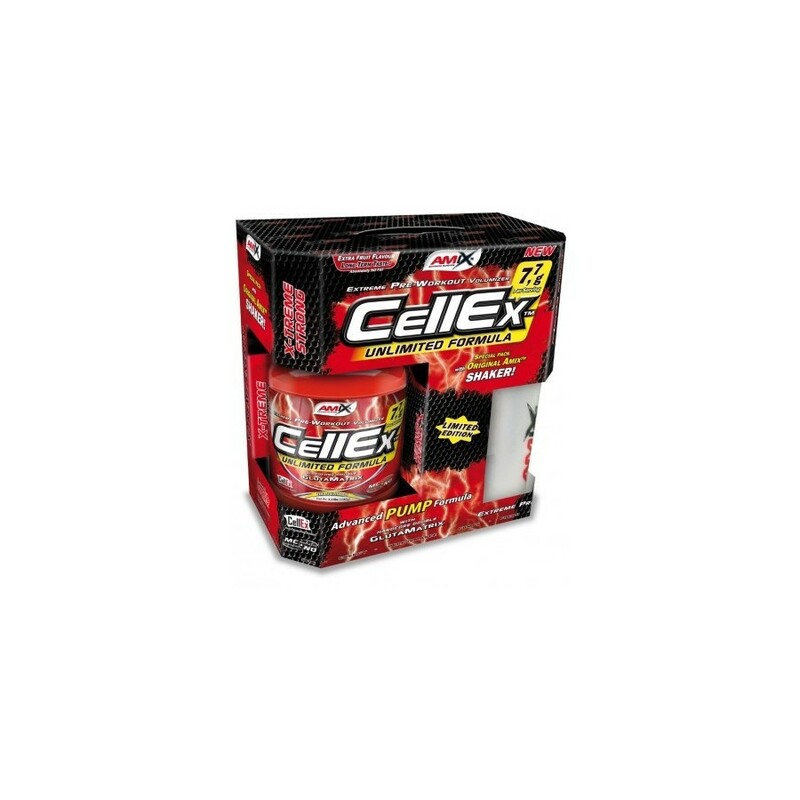 For all these reasons, Cellex 1kg Unlimited Amix encourages the growth of muscles within a few days. Among the ingredients that have this product Nutricio24 is Creatine Matrix, Matrix Glutamine, L-Norvaline, L-citrulline, Kre-Alkalyn, Matrix Beta-Alanine, Betaine Hidrocloridrato, Taurine, Arginine Matrix, Tricreatine Malate, Glutamine Alpha-Ketoglutarate , N-Acetyl-L-glutamine, L-Tyrosine, glycocyamine among others. The mixture Cellex MC & NO, given a set of exclusive creatine formed by Kre-Alkalyn, Beta-Alanine Dual Action Matrix (TM CarnoSyn) Tricreatine malate. Coupled to L-Arginine Alpha Ketoglutarate (A-AKG) gives athletes greater masodilatación and volume that acts while the L-Citrulline malate, micronized taurine, hidroclorhidrato betaine, caffeine, and mp cinulina . The more commonly known as as aches, pains after training will not be a problem since it begins to take Cellex 1kg Unlimited. And it is that citrulline malate helps the regeneration of deposits ATP (energy for muscle contractions) and also destroys the lactic acid produced in intense training. Moreover taurine, as is well known, it is an energy enhancer ingredient that helps reinforce to athletes and prevent decay, thus having resistance naturally. Mentally also helps because it keeps the mind awake. A taurine is added caffeine, a component that encourages increased energy while serving as fat burner and diuretic avoiding fluid retention. Nutricion24 have tested the effects of this product Amix, most recognized brand of sports supplements worldwide. This vasodilator is an important source of energy for long hours. In addition to providing increased muscle strength due to the high vasodilating the arteries. As for hydration, athletes can ensure that they will be constantly hydrated because it helps the system glycerol polymers, thanks to the unique formula called Cellex PhosphoMatrix composed of di-calcium phosphate, di-potassium phosphate, di-sodium phosphate . Like taking Cellex 1kg Unlimited: it is recommended to mix a spoon with 26 grams of the product between 200 and 300 milliliters of water or skim milk. Mix by hand for a few seconds without using the shaker. Take half an hour or three-quarter start physical training. On that train is not taking the same amount fasting.